•	Knowing these things helps us plan and create the best products possible! 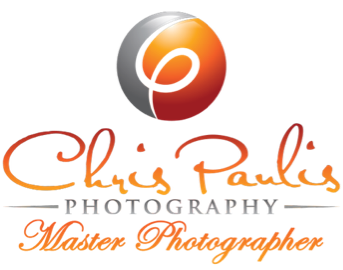 Your photographer will be an experienced Master Photographer, Certified Professional Photographer, and Photographic Fellow of the Maryland Professional Photographers Association. You probably wonder, "What does that mean?" We explain that elsewhere on this site, but let’s just say that those titles mean that Chris has invested many hours and dollars in developing his craft and earning credentials that set him above the crowd of photographers who call themselves professionals without any proof that they can deliver! We have been in business for more than 10 years and have vast experience in portraiture, general commercial photography, and other categories of commercial imaging. Over that decade we have learned important lessons about working with people, as well. Commercial imaging requires so much more than expensive equipment and settings. It involves effective conversation and planning before the session, careful questions intended to learn your needs and goals, intentional analysis of the photographic subject, expert advice in the demands of the project, and finally, expertise in post processing. I will be happy to explain and demonstrate any of these abilities and factors if you want to hear more! The bottom line is this: We have the experience and skills to deliver exemplary images to make your business or subjects look their best! We want you to consider your experience to be so much more than you expected! To make invoicing as simple and flexible as possible, we charge a simple fee for the shoot based on the estimated time required for the shoot, which is due on booking. Secondly, we charge a reasonable per-image licensing fee for what you order after proofing. Finally, we charge for extraordinary post-processing on an hourly basis, which we include in your estimate. Basic retouching is included for every image you order. This includes such things as basic color and exposure corrections. For more involved requests that must be completed in Photoshop (such as multi-layer compositing), we charge a post-processing fee based on an hourly rate. We will let you know at the time of the shoot when we expect to have proofs online for you to review. Once you place and pay for your image order, it usually takes up to 2 weeks to receive your final proofs. (Extensive post-processing requests or jobs may take longer.) Once you approve the finished proofs, you will receive a Dropbox delivery almost immediately. Absolutely! We do everything we can to ensure that you are thrilled with your images. If in the end you are not pleased with the images before you order and pay for them, we will reshoot your session at no additional fee. Interested in more information or ready to book your commercial imaging? Follow one of the links below to review some recommendations, or, to book, click the Book Now button! You can also use the Contact page to get in touch and request further information or help. We look forward to hearing from you! Most clients find me after they had poor experiences or unsatisfactory results with previous photographers. We do everything we can to set you at ease, starting with good communication and good listening. We want to know you and your business, what your experiences have been, and what your photography goals are. Before we accept your project, we want to speak with you and go over what you think you need. We will ask questions and, where needed, offer our advice on the emerging ideas. Once we understand the goals and demands of your project, we will provide you with a custom estimate, including variable costs that may be applied. When you are ready to hire, we will send you an invoice for the shoot fee that we have agreed upon. If you wish to book a simple project — such as a professional portrait, feel free to use the button to schedule and pay your booking fee. If, however, you need an estimate or have questions, please use the Contact page to communicate with us. We will get back to you quickly! Paul C. Buff strobes and modifiers: Einstein 640ws strobes (3); AlienBees 1600, 800 (3), 400. Chances are that we need to talk before you book. That’s what we expect and hope for! In order to provide you with an accurate estimate for the time involved, as well as the post-processing demands fo the job, conversation is critical. We can talk on the phone if you wish. We can also visit you for a free consultation, which might also include touring the areas you intend to have photographed. Please use the Contact form to reach out, and we will get right back to you! Please use the Contact page to send your questions and inquire about our services! *Social Media 50/50 — for LinkedIn, Facebook Profile, etc. Basic image enhancement (included in all hi-res images and prints): includes light blending/softening of facial, neck lines, and shine; blemish removal; stray hair removal. Extended Enhancement (Ask for quote): including reduction of wrinkles; removal of eye-bags; skin softening; lightening of eyes; subtle enhancement of eyes; gentle facial reshaping. We offer significantly lower image prices on location office packages and even include group photos. We bring our studio to you and can set up in an open office, conference room, or building lobby. We can also use either a studio backdrop (gray recommended) or an environmental background to obtain the look you want. We also offer Portrait Day packages in partnership with building management companies or other entities to arrange a date and space for us to set up a studio and they enroll participants from various businesses for web-sized digital images at a discounted rate. Once set up, if the agreed-upon minimum number of persons book, we handle the photography and transactions! Inquire if you are interested, or refer your building manager who may take advantage of this win-win experience! Before considering the clothing, please talk with Chris about the look you want in your portrait. This will shape the location and background he selects. Clothing must blend well with that background so that the faces draw the attention! High Key Portrait: Background and clothing are white, accenting the face. Low Key Portrait: Background and clothing are dark or black. Environmental Portrait: a shot in which nature or a location is the background. A long-sleeved shirt or top with a solid and subdued color. Avoid bright colors and patterns, as they distract from the face. Be sure the clothing is pressed and neat! As with individuals, choose subdued, solid colors. Typically, select a light color for the top and a darker one for the bottom. Everyone should wear the same colors. Long sleeves and high neckline, turtleneck, or V-neck style. If the plan is for a “low key” image, we will select dark or black shirts or tops. Likewise, if you desire a “high key” image, then white shirts are needed. Discuss this with Chris beforehand if interested. Before the shoot, lay the group's outfits out on a bed. If anything jumps out, it is wrong for the portrait. rather than a trendy manner. Style to keep the hair off the face (where it can cast undesirable shadows). Be careful of styles that produce curls that may be distracting if light shines through them from behind. For women, this is a must; but it should be subtle and not draw attention to itself. Use foundation blended to the neck, and avoid different colors between the jawline and the neck. Use mascara. If you use eyeliner, be careful to use it only to add definition, rather than strong color. Wear colored lip gloss or clear lip gloss over lipstick to enhance the lips.